Dr. Golden earned his Doctorate from Palmer College of Chiropractic West in San Jose, CA, in 2014. 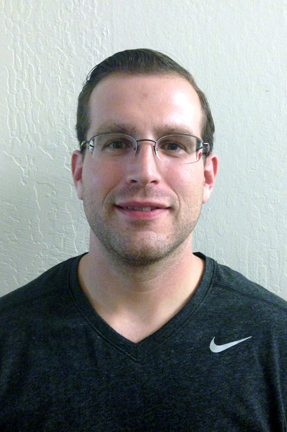 His specialties include Preventative and Corrective Rehabilitation, Myofascial Release, Functional Movement Screening (FMS), Fascial Movement Taping (RockTape L2), Instrument Assisted Soft Tissue Mobilization (IASTM), and traditional Chiropractic methods. Dr. Golden has been fortunate to be able to provide care for elite and non-elite athletes alike from Professional Triathlete’s, Olympic Level Weightlifters, Professional Powerlifters ,Professional cyclists, Professional runners, NCAA, Military and Law Enforcement Professionals, Professional Crossfitters and Grid Athletes, Pop-Warner football, Weekend warriors, and those just trying to get healthy. He has also been an attending physician at elite level sporting events including The Ironman World Championships in Kona, and The North Face Endurance Challenge, The Sea Otter Classic, and The Pacific Weightlifting Association Championships. Dr. Golden is an avid athlete who has competed his entire life in many different sports including Wrestling, Rugby, Olympic Weightlifting, Capoeira, Judo, Trail Running and Indoor Rock Climbing. He believes that movement is the basis of health and a healthy lifestyle; Maximizing your ability to move pain free and being active is the key to optimizing your health; allowing the opportunity to be the happiest healthiest you, you can be.